At NCover, we believe you should be focused on the health of your code and not on managing coverage files. 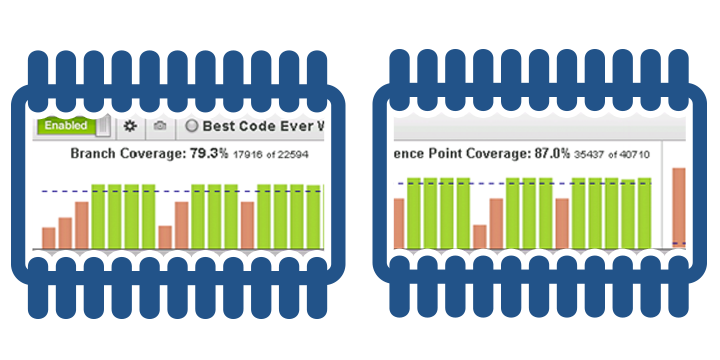 The NCover project overview page brings your coverage data for all of your code coverage projects into a centralized location. Whether you are an individual developer, a member of a development team, a team lead or a manager, you can quickly access up-to-date information about your code's health and take action where necessary. 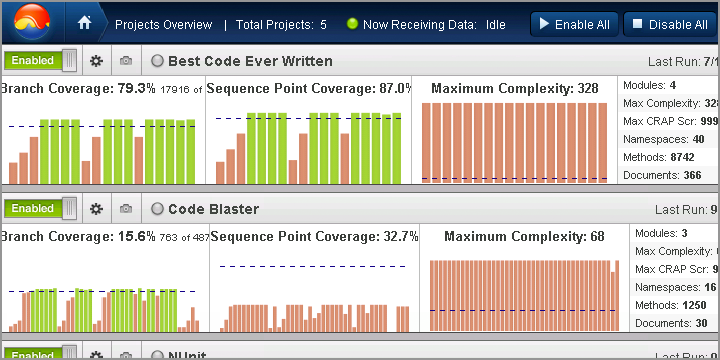 NCover is the original .NET code coverage tool. Code coverage is a software testing metric that shows which lines of source code have been tested and which lines of source code have been missed. This insight allows you to improve both your testing and your code with the goal of ultimately increasing revenue and reducing costs. 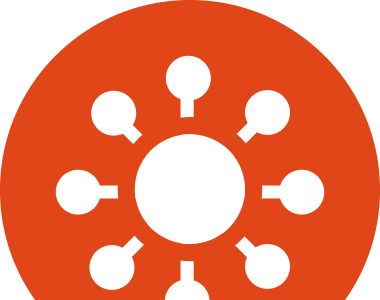 By providing sequence point, branch, and method coverage, NCover leads the industry in metrics provided and helps you and your entire team make the best use of time and resources. 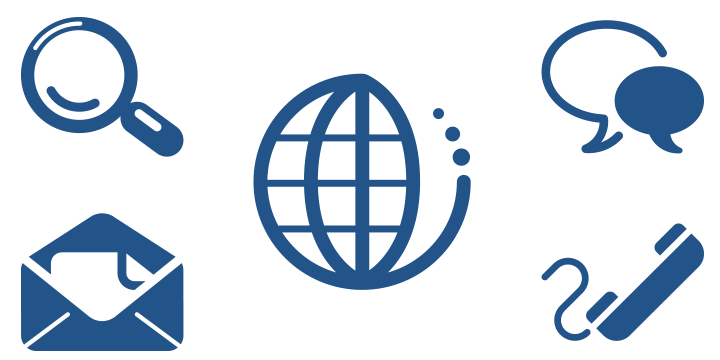 NCover supports both 32 and 64 bit systems, so no matter what your machine configuration, NCover can support you and your team. 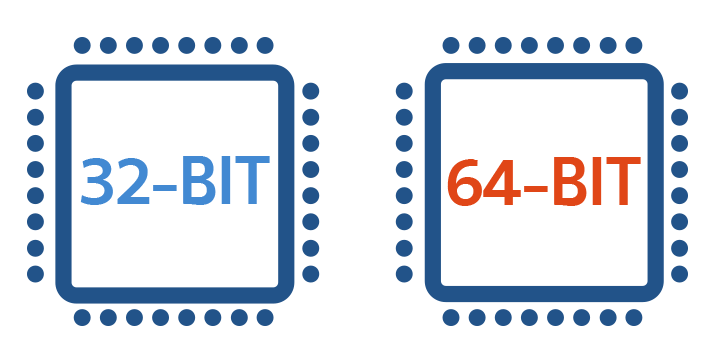 On 64-bit systems, NCover takes advantage of the increased processing power and memory utilization to provide a best-in-class code coverage experience. Every purchase of NCover comes with a full year of technical support and access to product updates and upgrades. As an organization, we are fundamentally committed to making sure that you and your team get the most out of NCover and that it works as promised. Whether you prefer to receive assistance via e-mail, online interactive sessions or even by phone, we have you covered. We also fully support all NCover trial customers, so you can experience what it means to be an NCover customer prior to purchasing. If you have a question, or are in the process of determining the best way to integrate NCover into your code coverage process, we have robust documentation on all NCover applications. Documentation can be accessed online and, for Code Central, Desktop and Collector, can also be accessed within the NCover application without the need for an Internet connection. 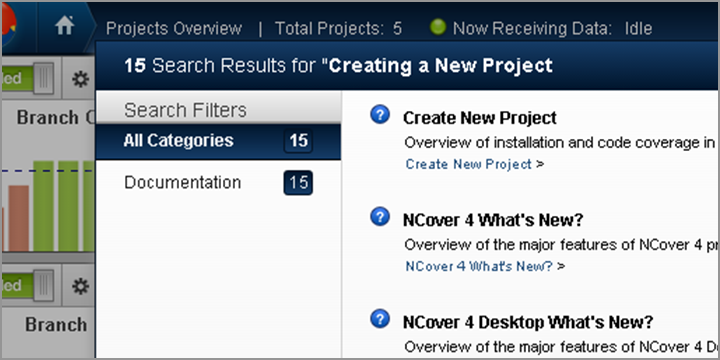 Our online documentation is available to trial customers or anyone who wants to learn more about NCover. While NCover is more powerful than ever, it is designed to reduce overall memory consumption. Through a series of memory, cache and data structure optimizations, NCover can handle large projects without the traditional memory bottlenecks associated with code coverage solutions. 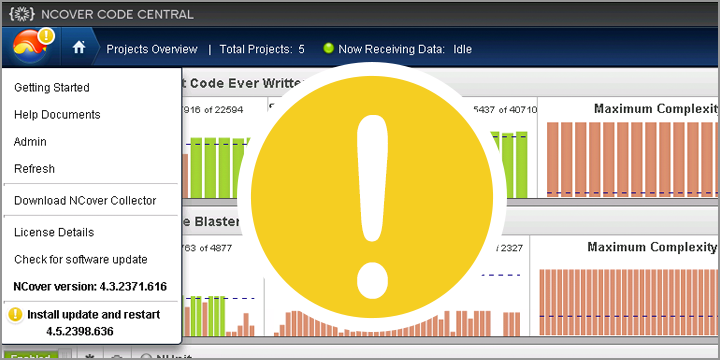 In addition, the ability to easily manage multiple projects and consolidate execution runs gives you control over the level of system resources required to effectively manage your code base. Whenever there is an upgrade or update for NCover, you will always be the first to know. 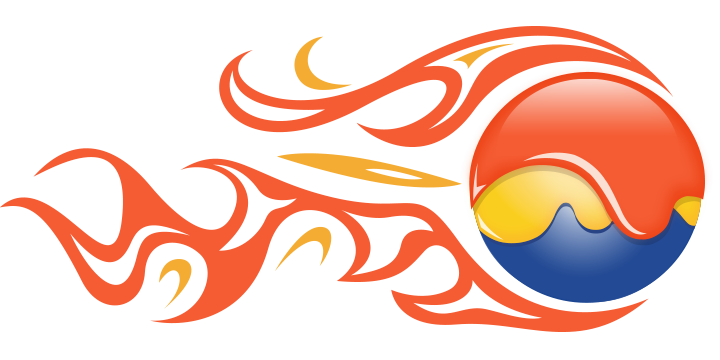 For Code Central, Desktop and Collector, you will see a small yellow badge located in the top left corner of the application. Simply click on the badge and select that you would like to install the upgrade or update. The installer will automatically take care of the rest. For Bolt, you will be alerted and can manage upgrades and updates with Visual Studio's Gallery Update function. Every purchase of NCover comes with a full year subscription to upgrades and updates.